As is known to all, AirMore is always focused on providing users the best experience in the wireless transfer. 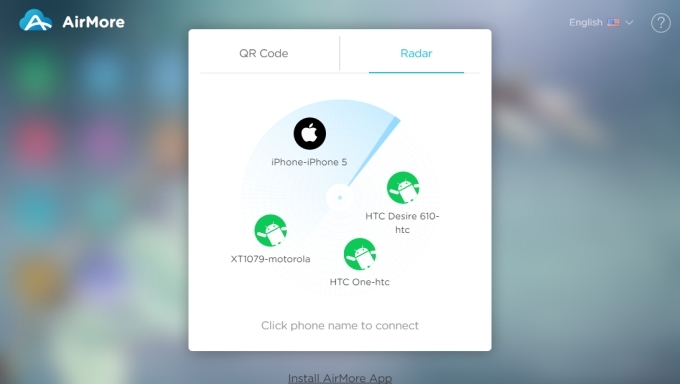 Therefore, in addition to the four existing connection ways which are scanning QR code, entering connection code, typing in IP address and sharing Android hotspot, another simple method to build a link between the mobile phone and PC is added: Radar connection. It is compatible with both Android and iOS. Now, let us learn more about it below. Make sure your mobile device and PC are connected to the same WiFi. Make sure AirMore app is running in the foreground. That’s to say, keep the app open during the scanning. Make sure your mobile screen is activated during the process. Please use Chrome or Firefox browser. After you read the notice above, here is the step-by-step operation. 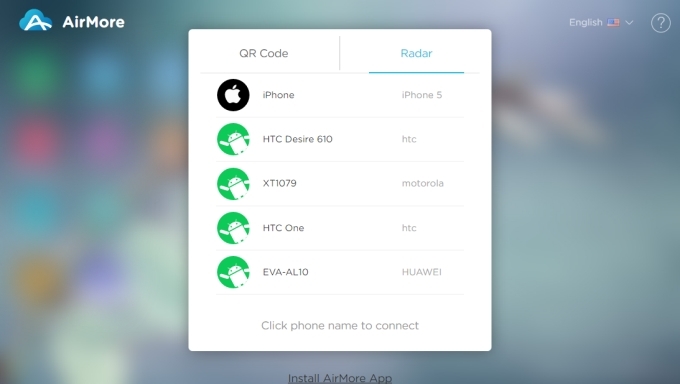 Click the button below to get the AirMore app if you don’t have it yet. Visit the address “web.airmore.com” on the browser. Open AirMore app. On web, click “Radar”. Then you will see that it automatically scans and displays the devices which are connected to the same network. Find the name of your device and click it. On your device, tap “Accept” to establish the connection. Among all the connection ways, Radar is the easiest one. You don’t need to go through a complex process. The connection will be built within the minimum time and least operations. Your mobile and PC are not connected to the same WiFi network. 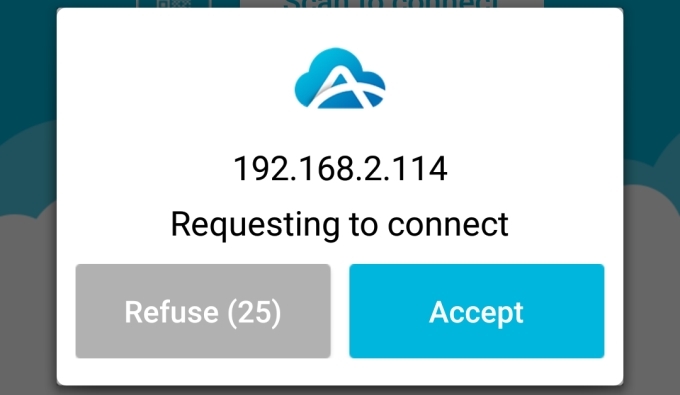 Your network has an internal limit of IP address and won’t allow the connection between the devices connected to the same WiFi. Your network has opened the proxy service. If you still have some problems or great suggestions concerning the Radar function, please feel free to contact us. We will help you as soon as possible.